Love is a feeling that is hard to describe, unless you’re discussing the right hormones! 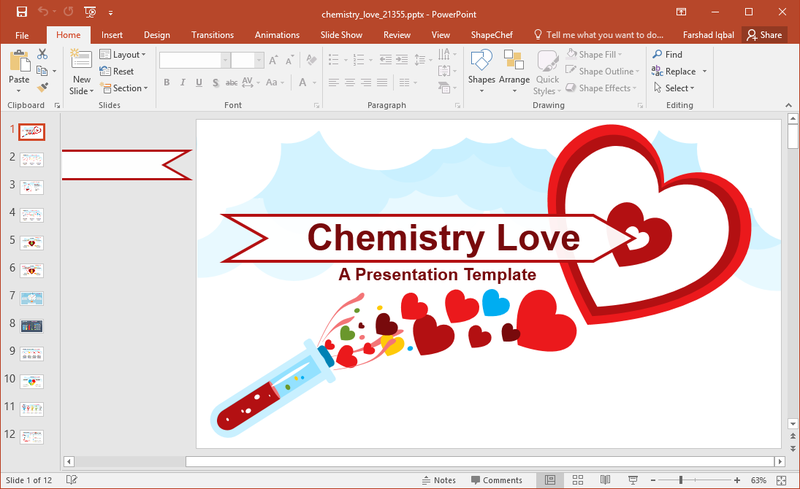 Animated Chemistry Love PowerPoint Template brings a scientific approach in explaining the concept of love with depictions of biology related illustrations for discussing oxytocin, adrenaline, dopamine and everything else that makes the world go round. Be it the science of love or Valentine’s Day, this template can be used for both. 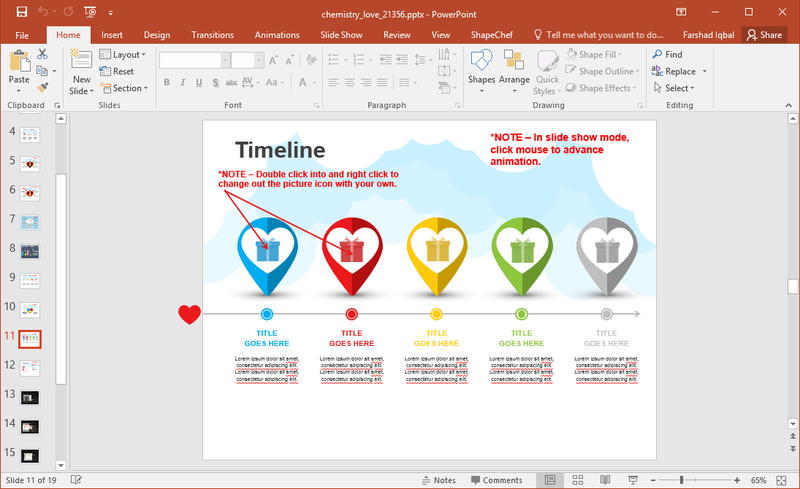 Basically, the template offers slides with illustrations related to the scientific aspects of love, as well as slides suitable for making infographics, use for Valentine’s Day related presentations or when you might be willing to use the concept of love in anyway in your presentations. 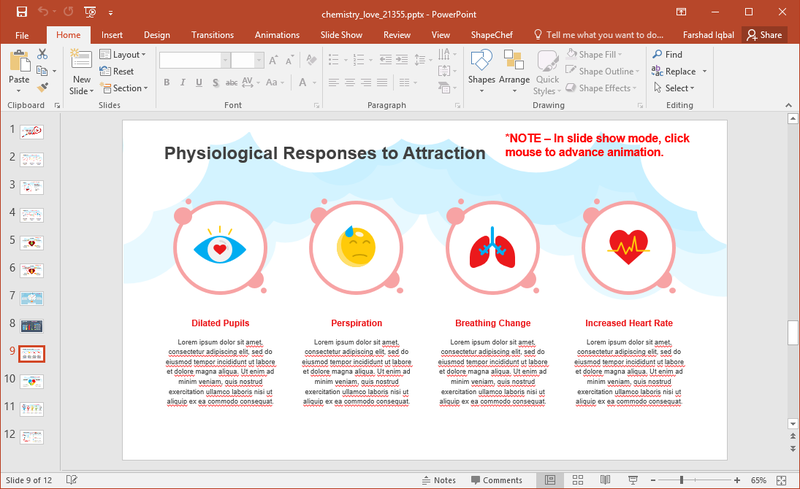 Using the illustrations in this template you can even discuss the physiological response to attraction. You can choose to discuss this topic either in a manner that is rather scientific or simply opt for something more philosophical. 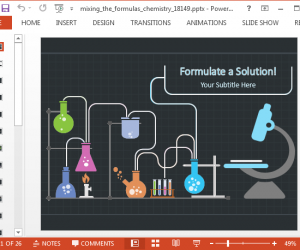 The editable slides make customization easy, with scope for changing the layouts down to basic slide objects. 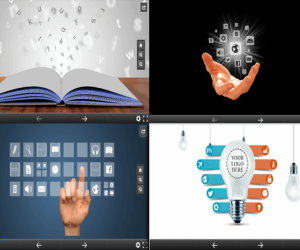 This includes the shape, size and color of individual objects. 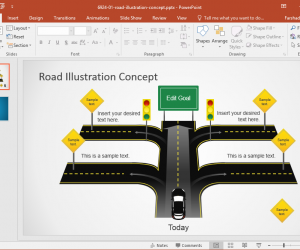 The template also offers layouts that can be used for making diagrams, timelines and roadmaps, and your own custom illustrations. 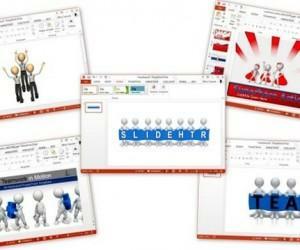 How you mould the slides in this template is entirely up to you. However, it is worth mentioning here that the basic theme in most, if not all slides is more science centric. To be more precise, it’s about the science of love. 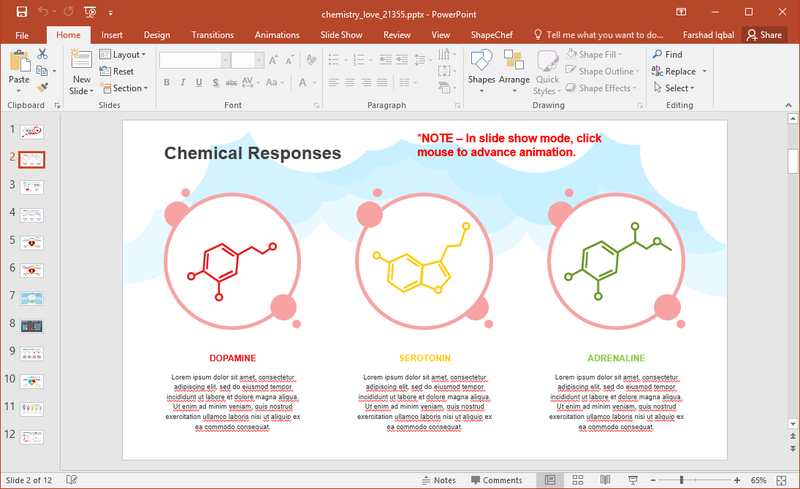 You can use the Chemistry Love PowerPoint Template with all PowerPoint 2007 and later versions for both Windows and Mac editions of Microsoft PowerPoint. 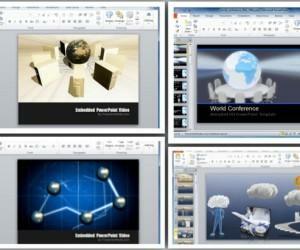 The template is available in both Widescreen and Standard format. 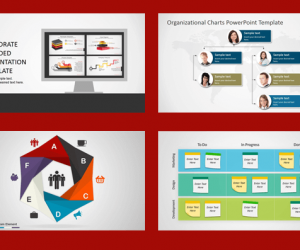 You can also preview all slides with their animations from the product page.